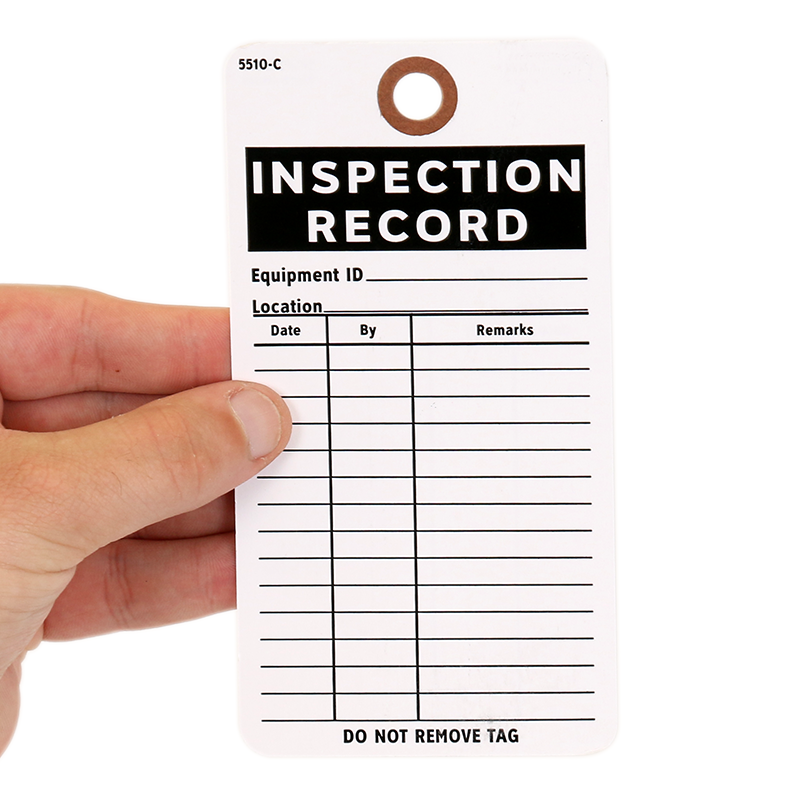 Make sure that your equipment inspections are up-to-date! 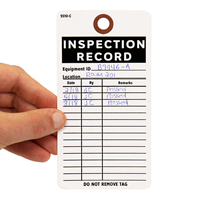 • Bulk pack of Inspectiong tags save you money. Made of 13 pt cardstock with a fiber reinforced patch for strength. • Rounded corners for professional look. • Keep track of each, periodic inspection. Tag notes the date and the initials of the inspector. • Made of 13pt paper cardstock. Die-cut rounded corners add a professional touch. • Writable surface. 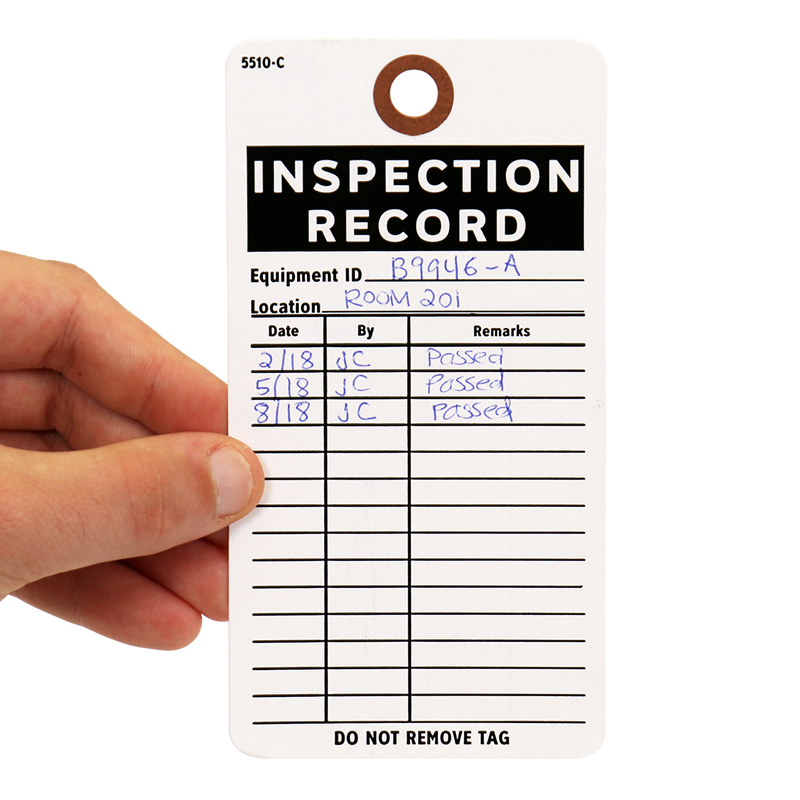 Flexographic printing on these tags is brighter and more durable than offset print. • Fiber reinforcing patch is included. Would have gotten 5 star if they included small zip ties for the labels. High quality plastic tag with high quality clear printing. Should have looked for these months ago! These are perfect for our needs and they were received in a very timely fashion. We will definitely be re-ordering. I only wish I had found these earlier!